SKU: RFVolt2000A. 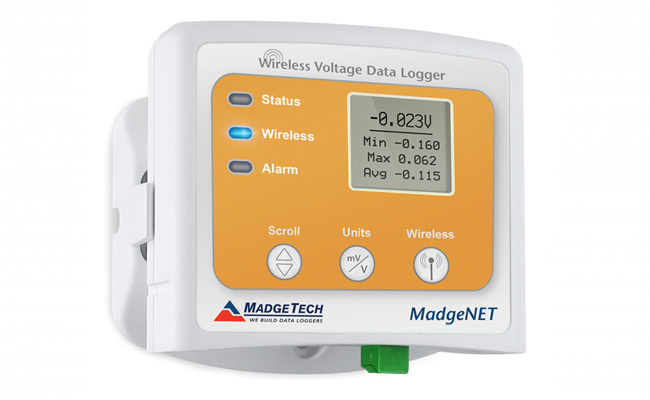 Categories: Current/Voltage Data Loggers, Wireless Data Loggers. 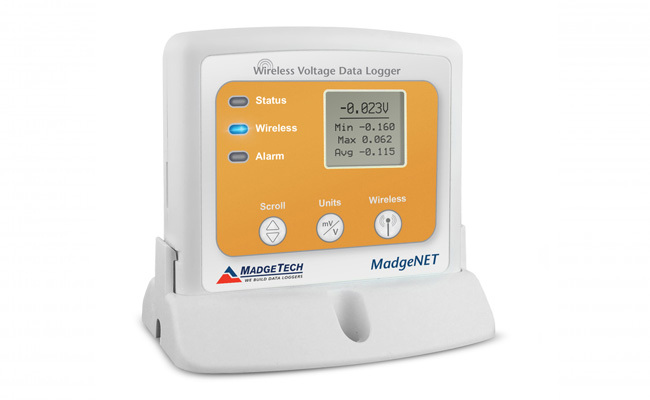 The RFVolt2000A is a wireless data logger designed to measure and record DC voltage signals. 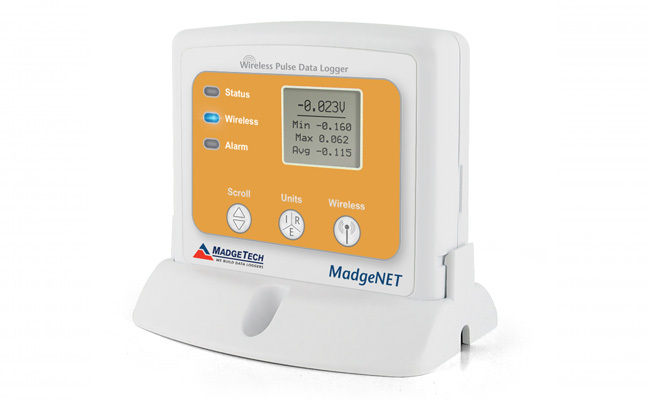 The data logger can connect directly to DC voltage sources, making it ideal for battery usage studies, solar energy monitoring and other DC voltage monitoring applications. 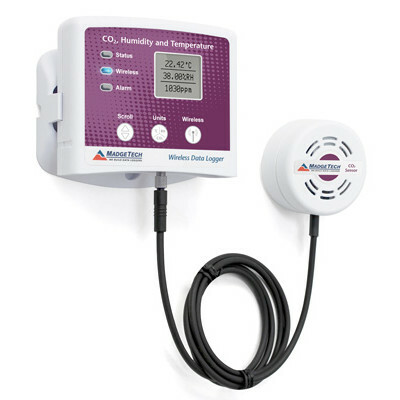 The RFVolt2000A can also be interfaced with a wide range of voltage output sensors, including pressure sensors and CO2 sensors, as well as transmitters and other transducers. The RFVolt2000A is available in a 2.5 V, 15 V, 30 V or 160 mV measurement range. The LCD screen on the RFVolt2000A provides instant access to the current reading, as well as minimum, maximum and average statistics. 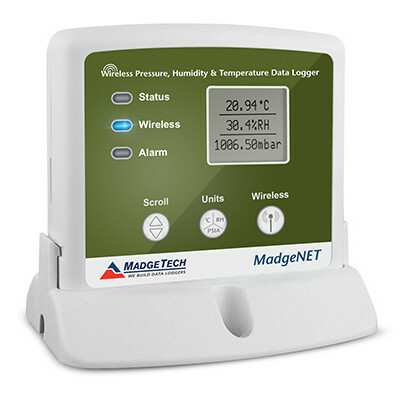 Using the MadgeTech software, the device can be programmed to record in engineering units, which convert the voltage signals into a different unit of measure such as PSI, % or PPM. The engineering unit can be seen on the LCD screen as well as in the software. 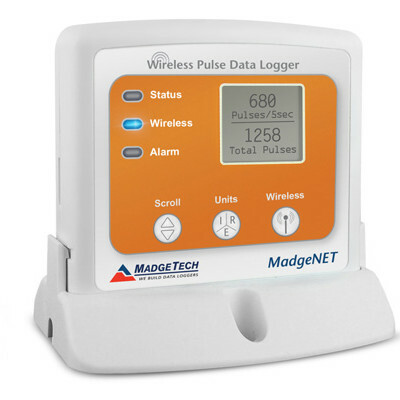 The statistics can be reset through the keypad of the device without erasing collected data, allowing customers to keep track of statistics over varying time periods. 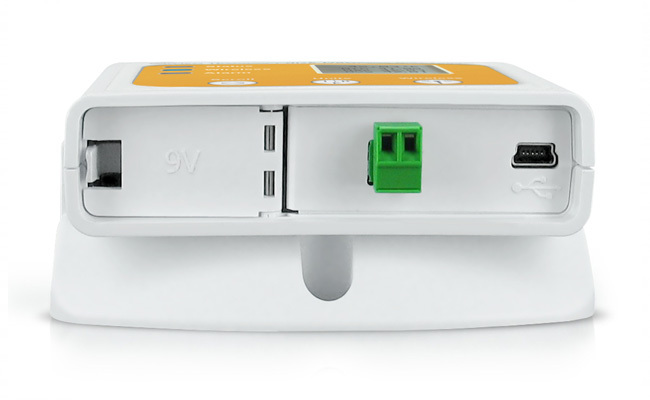 The RFVolt2000A can be used as a standalone data logger, or used with the RFC1000 wireless transceiver, to transmit data back to the central PC. 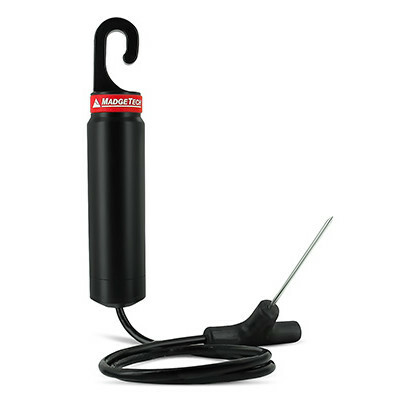 The RFVolt2000A can transmit up to 500 feet (line of sight) to the RFC1000 transceiver. However, multiple RFC1000’s can be set up and used as repeaters, capable of transmitting data up to 1000 feet (line of sight) to other RFC1000’s. This allows the data to be sent over a greater distance.